Well, it turns out that the "dog days" actually have an astronomical background. The brightest star in the constellation Canis Major (Latin for "greater dog") is Sirius, which also happens to be the brightest star in the night sky. It is so bright that the ancient Romans believed it supplied additional heat to the Earth (of course this is false). In the summer, "the dog star" Sirius rises and sets around the same time as the sun. It is during this time that the ancient Romans believed its added heat created a period of exceptionally hot and humid weather each year; hence the "dog days of summer" were born. This legend has lived on from generation to generation and into modern times. The current meaning has less to do with the stars, and instead probably helps to conjure up images of panting, lazy dogs trying to stay cool on those almost unbearably hot summer days. The "dog days of summer" are generally said to begin on July 3rd and continue through August 11th each year. This period of time is approximately 20 days before and 20 days after the conjunction of Sirius and the rising Sun. 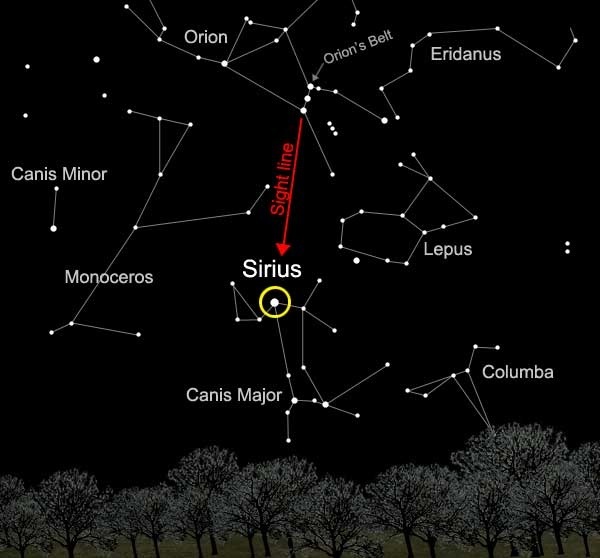 Here is a look at the constellation Sirius and its location in the night sky. So, you may be wondering just how hot it normally gets during the "dog days of summer". Well, let's use New Jersey's average July high temperatures as an example. During July, the average high temperatures range from the mid 80s in the southwest part of the state to near 80 degrees in the highest elevations of northwest NJ. So, if it is not the added heat from Sirius that helps this time of year to be the warmest, then what is it? 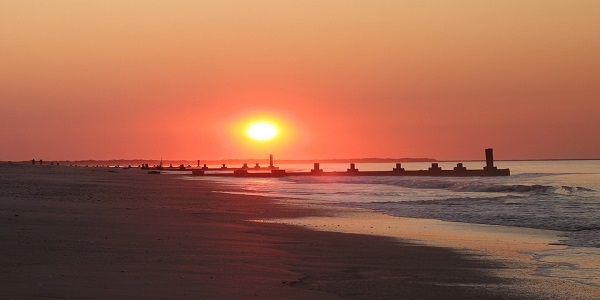 The sun reaches its highest position in the sky on June 21st or 22nd each year, also known as the summer solstice. On this date, the sun is shining its most direct rays of heat energy on the northern hemisphere. Then why isn't this the hottest time of the year? Well it turns out there is a lag effect and the Earth's atmosphere takes time to warm up after the summer solstice. Just like a pool doesn't heat up immediately after the first warm spring day, the Earth also requires time to absorb and distribute the sun's heat energy effectively. The same thing happens as we progress through winter. The average coldest temperatures for the year occur in January across the northern hemisphere and not on the first day of winter in late December. Want more info about seasonal lag and extremes? Visit this blog by Kellie O'Grady: Temperature Extremes & Seasonal Lag.